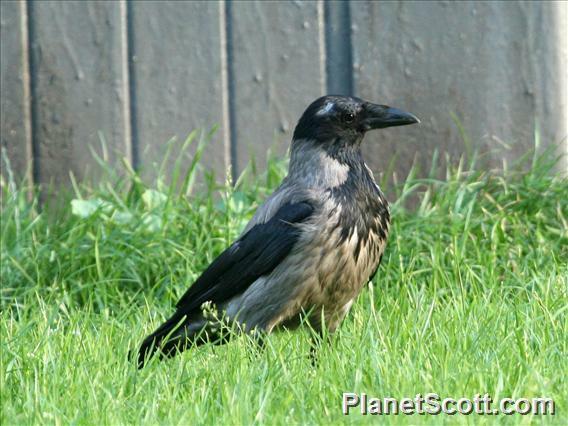 The hooded crow, or 'hoodie' (4) is now recognised as a different species to the carrion crow (Corvus corone) (7). Both are around the same shape and size as a rook (Corvus frugilegus), but the hooded crow is easily identified by its two-colour plumage; the body is a dirty grey, while the wings, tail, head and bib are black (2). The calls are harsh and croaky, and include a 'kra-kra-kra', which may have given rise to the imitative name 'crow' (4).